Scroll measures 10 by 84 inches. Petal images are life size. Packaged in wooden box. 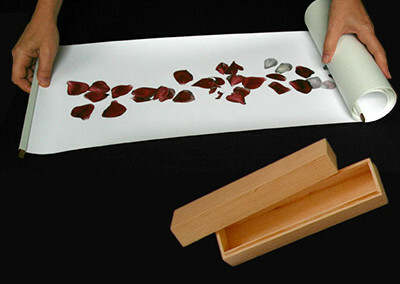 Picture shows beginning of petal image.